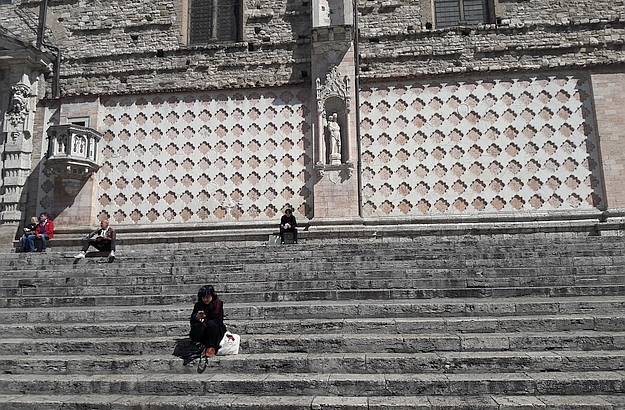 The main piazza of Perugia, the old Umbrian capital city. Sandri had been run by the founder’s family for over 150 years. The locals’ prayers were answered: Sandri came back to life! Perugia’s old aqueduct has been turned into a very pleasant walkway. 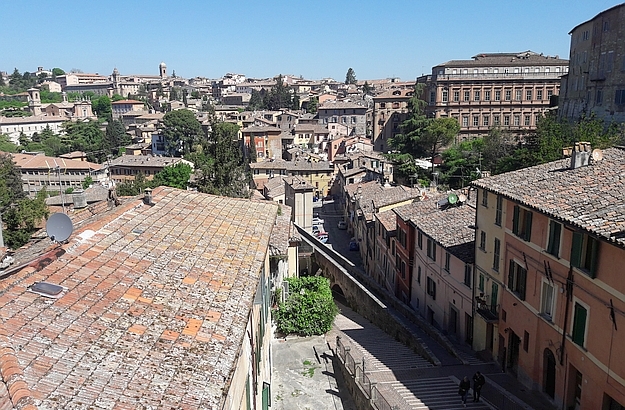 Perugia remains an untouristy and underrated Italian destination. In the summer of 2013, I was in Perugia for the great annual Umbria Jazz Festival, which I told you about in a previous article. At one point, I decided that I needed a good brioche and cappuccino, and that I wanted to have them at Sandri, my favourite bar in town. But as it turned out, Sandri’s doors were closed – closed for good! Locals had sellotaped many handwritten messages on the shop’s window, beseeching the reopening of an “institution” which had been a backbone of the city’s social life and which they just couldn’t imagine having to do without. 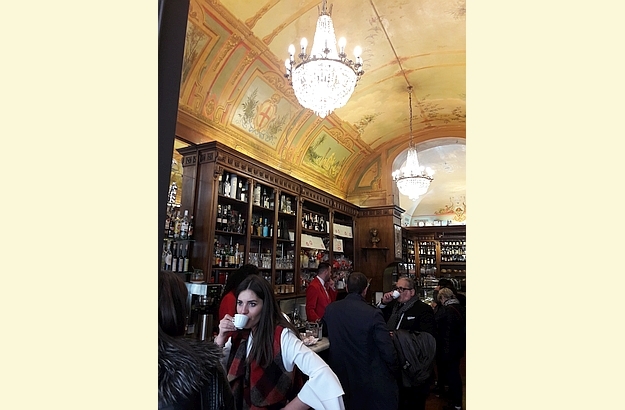 Founded in 1860 by Giacomo Schucani, a Swiss pastry chef and confectioner, Sandri had been run by the same family for more than 150 years, until its closure in 2013. Fortunately, two young Umbrian entrepreneurs joined forces soon after and reopened the bar the following year. They wisely preserved the gorgeous Art Deco interiors with its gilded mirrors, long marble bar and fanciful frescoes. They also rehired the experienced staff who had been working there previously, and who was therefore going to ensure the continuation of the time-honoured confectionery traditions. 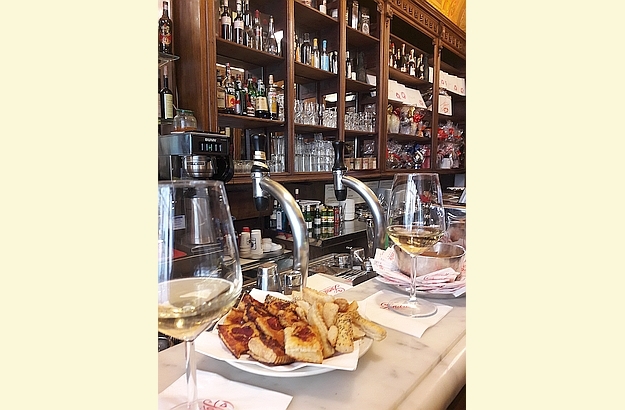 But there is a lot more to Perugia, as you can guess, than the lovely Sandri bar. Probably one of the most pulsating and underrated destinations in Italy, Umbria’s old capital city is brimming with Etruscan, medieval, Gothic and 18th century vestiges and treasures. The aqueduct, for instance, built in 1280, has been turned into a wonderful walkway, offering great views over the town and some of its historic areas. 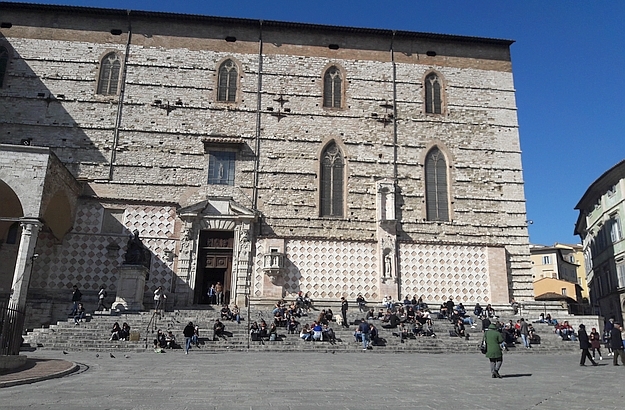 Perugia is also home to one of the oldest universities of the bel paese, founded in the early 14th century. 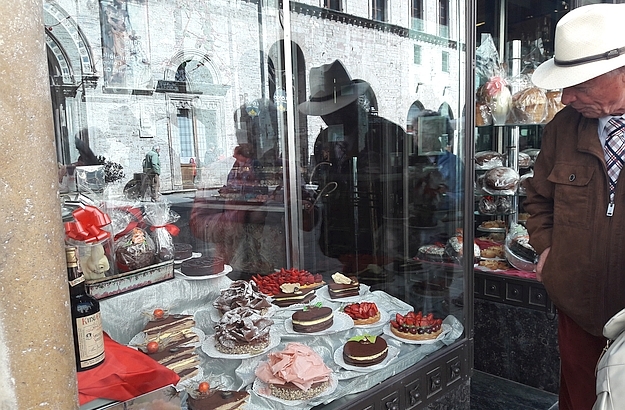 And last but not least: Perugia’s annual chocolate festival, held in October. A bit late now for the 2017 edition, but if you are a cocoa addict, you have a whole year to prepare for the next one!